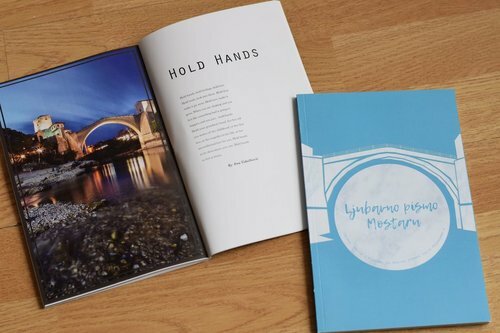 “A Love Letter to Mostar” contains over 80 pages of photographs, artwork, poems and letters. Everything has been created and produced by the young people who have participated in the Mostar Summer Youth Programme. It is printed in high quality full colour and is available in English or BiH languages. We’re currently taking orders and will be able to ship intermittently throughout the year. 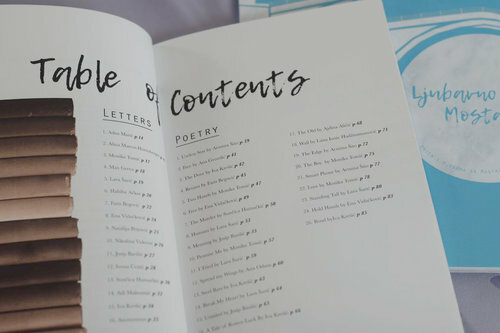 To receive a copy of the book, you simply need to make a minimum donation to help us cover printing and shipping costs. All money received above the minimum amount will go towards funding future programmes. The minimum donation required depends on where you are purchasing from (due to different production and shipping costs). Please choose the appropriate region below. We are happy to send a copy anywhere else in the world, but please email us first with your delivery address and we’ll let you know the cost. This is to ensure we can at least cover our printing and shipping costs. Please note: MSYP is a non-profit project run by volunteers who take no payment for their time.